It’s time for another potato recipe because, well you know, I LOVE potatoes! Doesn’t everyone? This recipe is perfect for breakfast, lunch, or dinner, and it is SO simple to make! 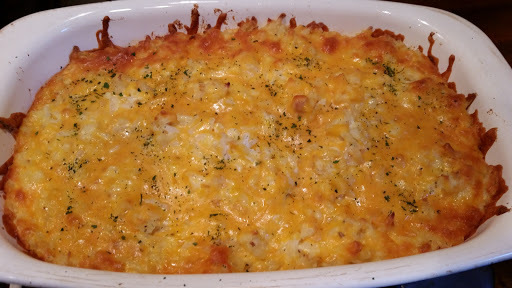 Set aside 1/2 cup shredded cheese to use as the topping. In a large bowl, thoroughly mix all the remaining ingredients. 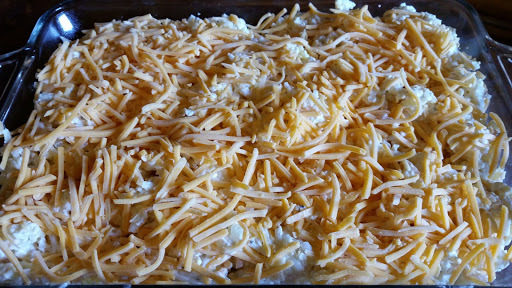 Butter a 9×13 baking dish and spread the ingredients in the dish evenly. 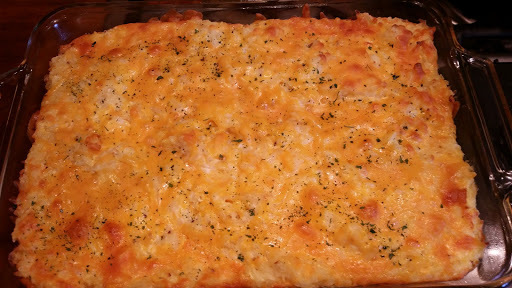 Top with reserved cheese. Bake at 350 degrees for 45-55 minutes, until it is hot and bubbly and the cheese is browned. That’s it! Could that be any easier? I doubled this recipe because our small group is meeting tonight and this was my contribution.